ISLAMABAD: The National Accountability Bureau (NAB) chairperson Justice (r) Javed Iqbal’s meeting with the National Assembly’s Standing Committee for Law and Justice scheduled for May 22 has been turned into an in-camera briefing. Justice (r) Javed Iqbal has been directed to give a briefing on the probe into allegations of money laundering against the deposed prime minister. According to reports, the NAB chairman has confirmed his availability for the meeting scheduled on Tuesday. 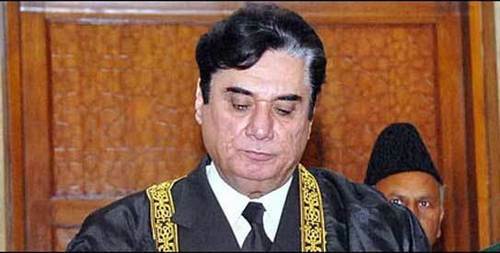 Earlier, Justice (r) Javed Iqbal on Wednesday sought more time to appear before the National Assembly’s Standing Committee for Law and Justice for questioning related to his decision to initiate an inquiry against deposed prime minister Nawaz Sharif on the basis of a ‘flimsy’ newspaper column alleging the latter of laundering money to India. Accepting the request submitted by NAB representative Irfan Naeem Mangi, the NA committee asked the chairman to appear before it on May 22. The response submitted on behalf of the NAB chief stated that Justice (r) Iqbal has prior commitments, therefore, he cannot appear before the committee on Wednesday. However, the committee declined the request and directed the NAB chief to review his decision. However, later in the day, the committee directed him to appear before it this Friday but later changed the date to May 22, Tuesday. However, members belonging to Pakistan Tehreek-e-Insaf (PTI) and Muttahida Qaumi Movement-Pakistan (MQM-P) had opposed the committee’s decision to summon the chairman, with their lawmakers arguing that Iqbal had done nothing wrong by ordering an inquiry in the allegations. Minister for State Talal Chaudhry explained that the purpose of summoning the chairman was not to disrespect anyone but to find out what the procedure of issuing a press release was. Two members of the Pakistan People’s Party (PPP) that are part of the National Assembly’s Standing Committee on Law and Justice, on last Tuesday, even resigned from the committee after it summoned the NAB chairman to explain the initiation of an inquiry against Nawaz Sharif over bogus media reports that pertained to money laundering. In their resignations submitted to the committee chairman, lawmakers Naveed Qamar and Shugufta Jamani maintained that such step would weaken the anti-graft body.